Today’s treasure is my first award for blogging on my ancestors. It comes from Leslie Ann at Ancestors Live Here. Thanks, Leslie! As a recipient of this award I’m supposed to list ten things I have learned about any of my ancestors that has surprised, humbled, or enlightened me and pass along the award to ten other bloggers who I feel are doing their ancestors proud. that my third great-grandfather, William R. Stuart was president of the Maryland Senate. that my great, great-grandmother Temple Burton stayed with her masters even after emancipation. that Tempy and her daughter, Josephine took a trip together to Mount Clemens, Michigan right before my grandfather, Martin Ford was born. that my great, great-grandfather, W.R. Stuart cultivated a pecan that still exists today. my third great-grandfather and his son, Alexander, dying within months of each other of yellow fever. a long tradition of methodism in my family from my third great-grandfather down to my father. Tempy Burton being passed down through several members of a family in their wills. Tempy Burton being at rest in a cemetery in Ocean Springs, Mississippi surrounded by her family. to find my great-grandmother, Josephine’s marriage certificate. to find my cousin, Monique Anderson, also Tempy Burton and Col. W.R. Stuart’s descendent and to have her as both my genealogy buddy and friend. Love it. This was a great post and really summed up everything you are doing. Thanks for sharing and congrats! I am surprised, humbled, and very proud that you listed me among those to receive the award next. Thank you! Thank you so much for passing this award on to me. I don’t think my blog holds a candle to yours, but I am very grateful! Dionne, I’m thrilled and humbled to receive this reward from you. I’ll try to do it justice in a post in the next day or two. Thank you so much for the award. I’m thrilled, surpised and honored to receive this award. Thank you! I admire how you can easily categorize and list them. Condensation would be a problem for me. But Now readers will look for it on your blog to read more, for sure. I loved your responses to the award and I look forward to the responses of those you have passed this award to. I’m thrilled to see you acknowledged with this award, and so blessed to be able to share this journey. Congratulations Dionne… you inspire me! I love your site and clearly see why you received an award. It’s fantastic. 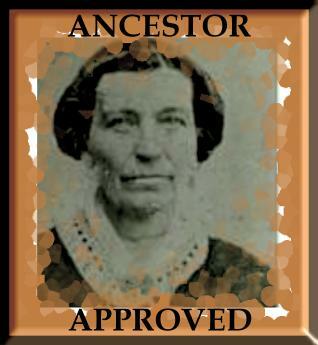 I myself am an avid genealogist in a hobbyist way. I by no means claim to be an expert, however, I know I have made amazing discoveries of which I am proud and have learned much, know much, and have much more to learn. I began this search at the age of 14, after the death of a maternal great-grandfather and a paternal great uncle when I noticed in the obituaries my mother’s great-grandmother and my dad’s grandmother had the same maiden name. ( The two ladies turned out to be second cousins.) I am now 52, so I’ve been at it a long time. I went up as far as I could go and then out. To settle curiosity and rumors and denial of those rumors, I had a DNA test. The rumors were of Native American heritage. What I discovered was that I was roughly 75% Causian, 3/8 Native American and 1/8 African American. My family has produced a variety of different looking individuals, and I was among the lightest, except for nearly Asianatic eyes, so I was a bit surprised, but not shocked and went to uncover how African ended up in my blonde haired genes. In the search, I also found 5th cousins who are considered African Americans and discovered some beautiful love stories at a time when such relationships were illegal, and some amazing individuals in the process. I would love to blog about my research, experiences and discoveries. Do you have any advice on where to go to start such a blog?